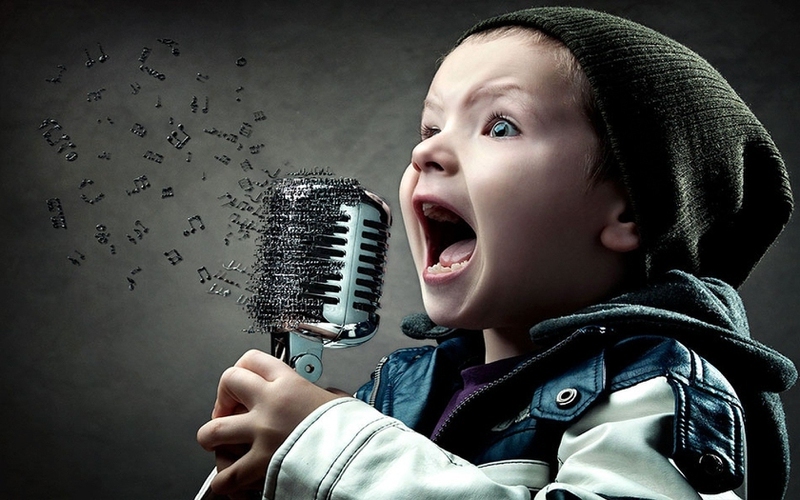 Some people seem to have the ability to sing by birth, while others need to practice a lot for it. It all comes down to how serious you are about this passion of singing that you have. If you want to be a good singer - whether you have worked hard for it or born with it - you need to know how to practice singing. To practice regularly is a big part of how good you could be as a singer. If you are dedicated to this form of art, you will somehow find yourself the time and place to practice singing at least for a few minutes during the day. If you are serious about singing and music, here are 11 tips to help you learn how to practice singing. To know when and how to practice singing, it is the location that is most important, not the time. Your preferred time to practice could be anytime - early in the morning, in the middle of the day, or late at night. What you need to find is someplace where you can have some quiet time to yourself, with as little noise as possible. Find yourself a good location away from prying and criticizing even if it means you have to leave the house or pop over to your building's roof - what you need is some alone time with yourself if you want to learn how to practice singing. Whether you practice for 5 minutes or 5 hours every day is up to you, but you should not be in a rush if you are dedicated to learning how to practice singing. Don't start if you have something in the stove that will start to burn any moment now, or when you have to leave for work in 2 minutes. Rather wait until you have ample time on your hands and when you are relaxed. The right way to practice is not to dive right into a song, but to warm yourself up. Start by humming to see how your voice it that particular day. It is exactly like how athletes prepare themselves for their preferred exercise with some stretching to see how well their bodies respond. You need to start with a warm-up to build up a balance in your voice, and to see if it is going to correspond to the songs that you want to practice later. If you have been suffering from allergies or if you have a sore throat, humming could be a good way to start. A 5-10 minute session is enough for warm-ups; professional singers can spend up to 30 minutes humming before each session. If you are practicing to appear before an audition, don't start with the song that you are supposed to sing, if there is a particular one that you are required to sing. Instead, start practicing with a song you are comfortable with, and which you know you can sing well. Start with something you have practiced a number of times before; it will give you an idea how confident you are feeling as a singer. The last two steps could be considered the warm-up sessions, and now you can start on the song you need to practice. This could be a particular song that you were given, or a song from a specific genre, or something you have chosen that would flaunt your style. After you are feeling confident as a singer with a successful warm-up session, start with your designated song. If this is something new that you are practicing - especially for the first time - break the song down into segments to perform. Do not attempt to sing the whole song at once, because that would give you no time to focus on each individual part. Break the song down into a few sections, or just sing the same line over and over again until you feel like you have given it your best shot. When you break down a song, you have the chance to pay attention to each word and each tune, and not to the whole song at the same time. When you find yourself satisfied every section of the song, put them all together and sing it as a whole. When you do this, you will see if you have been back together to grasp the whole song, and whether you are comfortable with making the transition from one part of the song to the other. If you have enough time to practice some other time, don't keep on singing the same song again and again. Rather, go back to another favorite - or something else that you are comfortable with - after singing your designated song, from top to bottom, a few times. This will put off the pressure and make you feel at ease, especially if you are about to face an interview or an audition. Practice for as long as you are comfortable; don't go over your usual warm-up and practice sessions just because you have a deadline for an audition. Putting too much pressure on yourself will affect your voice, and that is something you do not want. So don't practice for 2 hours when your usual time limit is 30 minutes. Server responsed at: 04/26/2019 3:49 a.m.